Living in the world of high technology of telecommunication, anyone's conversation can be wiretapped by activating one's cell phone like Spy Telephone. SVA-01 detector is meant for detecting unauthorized listening in by cell phone. Government officials, business people and whoever are careful of their voice data should have SVA-01 detector! You can carry SVA-01 detector with you everywhere. No body knows SVA-01 detector is a detector because it just looks like an ordinary small case. 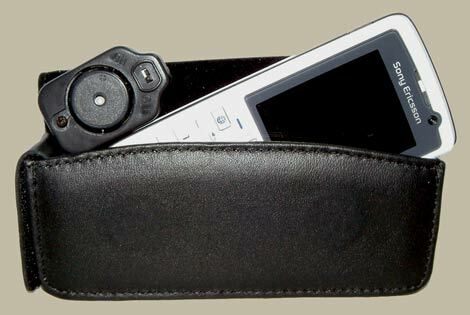 Put the cell phone in SVA-01 detector case. If the cell phone is activated but the display still stays on standby mode, it means that the transmitter of the cell phone is unauthorized switched on. This electromagnetic field change of the cell phone is detected by the SVA-01 detector and then SVA-01 detector will turn on the built-in noise generator to warn you!